TRIP IS LOADED WITH EXTRAS!! This is going to be a first class trip. If you’ve been to Telluride, you know how special it is. 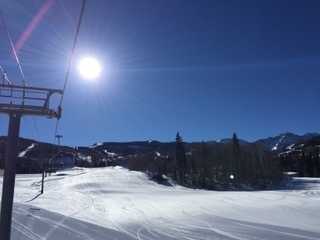 If you haven’t been to Telluride, what are you waiting for??? With Chrisje and I, you know your trip will be super organized, have fun social events, and be filled with lots of great people! We have a great flight schedule flying in and out of Montrose. Here’s what’s included on our trip in addition to the flight: ground transportation, 7 nights of luxury ski in/ski out accommodations at The Peaks, daily full service breakfast at The Peaks, our fun and informative pre-trip party with plenty of snacks and mimosas, a spectacular wine and cheese party upon arrival at Telluride, a Super Bowl gathering, an après with plenty of appetizers, a special banquet dinner, and our epic chocolate decadence party to top it all off!! 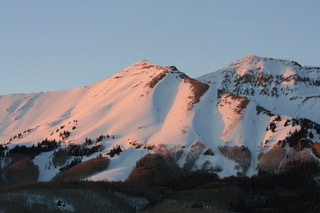 This year Telluride offers 7 days on the Epic pass. This is one of the best mountains I have ever skied and I can't wait to get back there! Ride the gondola down into town and enjoy one of the most spectacular rides of your life. 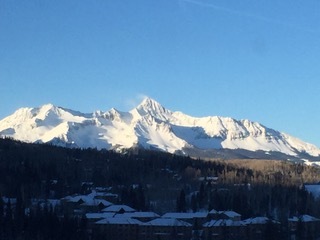 Telluride is a really special place that truly has something for everyone. A huge amount of expert trails, tree skiing, steep groomed runs, intermediate moguls and long beginner runs - so much to stay busy and challenged all week. We encountered few lines for the lifts and everyone we met was so friendly. 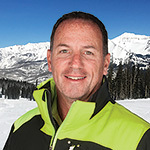 There is a huge variety of really good food on the mountain and in town. Telluride’s terrain is some of the best in the country. The local nick name is “To Hell You Ride”. Telluride’s vertical is a huge 4,425′ if you hike for it, 3,845’ is lift serviced. 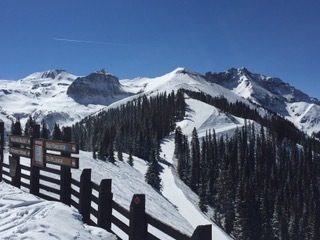 But what is truly terrific about Telluride is that even intermediates can ride to the summit on the Gold Lift (chair 14) and peek over the edge into the extreme terrain before proceeding down “See Forever” which is a fantastic long trail that you seem to ski forever. 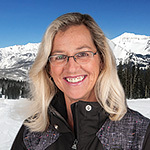 The Peaks Resort & Spa is a ski-in/ski-out resort surrounded by the majestic peaks of the San Juan Mountain Range, just 10 minutes via gondola to the historic town of Telluride, CO. The iconic resort offers rooms that are bright, bold and inviting – all with stunning views of the nearby mountains. 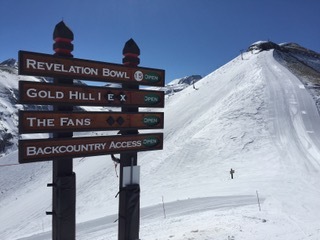 At an elevation of 9,500 ft., the Peaks offers convenient ski in/ski out access to Telluride Ski Resort where 2,000+ acres of pristine powder-packed terrain await skiers and snowboarders of all skill levels. After a day of play on the mountain, a 3 lane lap pool, indoor-outdoor heated pool featuring Telluride's only indoor waterslide, steam rooms, saunas, Roman tubs, and hot tubs get you ready for an evening of fun. For those that didn’t get enough of a workout on the mountain, a state of the art fitness center including Pilates and yoga studios, indoor climbing wall, and certified fitness instructors for private and group classes awaits you. Guests can also rejuvenate at the Spa at The Peaks. The Spa, acclaimed by SpaFinder as the best location for maximum rejuvenation, offers 32 dedicated treatment rooms and a full service hair and nail salon. 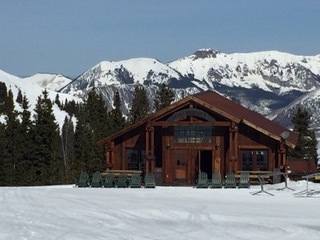 The resort also offers several onsite dining options, such as the Altezza at The Peaks Restaurant for an upscale cuisine (breakfast, lunch, dinner) with spectacular views and the Bean Café for a more casual experience for breakfast and lunch. Free breakfast at The Peaks for all TBSSB travelers. The luxury rooms include Large Flat Screen TV, Free High Speed Wireless Internet, 2 Terrycloth Robes, Spacious Closet, Coffee maker with Gourmet Coffee & Tea, Mini Fridge, and Hairdryer. Round-Trip Airfare motor coach transfers, 7 nights lodging at The Peaks including daily breakfast, pre-trip party, Super Bowl party, Après, banquet dinner, chocolate indulgence party, and applicable taxes. See Price Chart for pricing for your particular group size. Beautiful Hotel Rooms at The Peaks with ski in/ski out access. $250.00 per person with a completed trip application. All cancellations must be received in writing by November 1, 2018. Make checks payable to: "TBSSB” or "TAMPA BAY SNOW SKIERS and BOARDERS" and mail to: Chrisje Mays, 11117 Bridgecreek Drive, Riverview, FL 33569. Prices are per person. Accommodations are assigned in order that deposits are received. No space is held without a $250 per person deposit. Early commitments get first choice! All prices reflect a cash discount. Deduct $603 from the prices above if you plan to get your own air and ground transportation. A fee will be charged for credit card convenience. Alpine Vista King rooms offer picturesque views of Mountain Village and feature one king bed and a queen sleeper sofa. 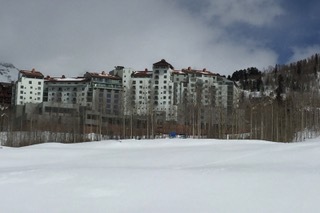 Alpine Vista 2 Kings rooms offer picturesque views of Mountain Village and feature two king beds.